So I’ve been racking up requests for a while, so I figured I should get them going! I’ll start with my friend MadShadow’s! His seems to be a pretty good................. WHY AM I CRYING ALL THE TIME NOW?!?!?! 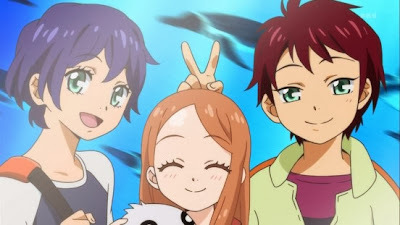 Penguindrum is an original 24 episode... genre mix (Comedy, Drama, Romance, Psychological) from Brain’s Base Studios and writer/director Kunihiko Ikuhara of Revolutionary Girl Utena fame. 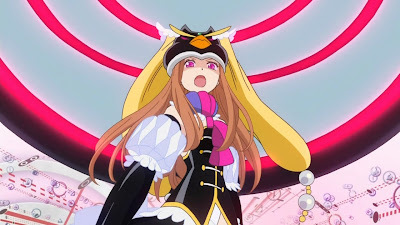 As of this review, the 2011 series Penguindrum is licensed by Sentai Filmworks (US), Kaze UK (UK), and Siren Visual (AUS). The series is also available for legal streaming on Hulu. Himari Takakura passes away after going out on a trip with her brothers, twins Kanba and Shōma. She was, however, miraculously saved by a spirit in a penguin-shaped hat. In return for her extended life, the twins must search for an item known as the Penguin Drum with the aid of three penguins, which are visible only to the siblings. I have a tendency to find solid anime series, animation wise. 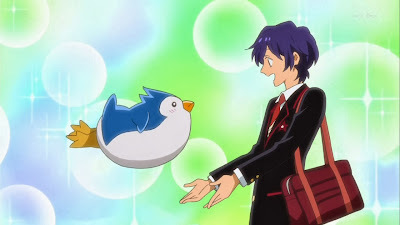 However, it’s a little rare for me to criticize or fall in love with a show’s animation. With Penguindrum, it’s the latter of the two. I LOVE the animation work that Brain’s Base does. It’s bright and colorful, but still manages to use less color for the many dark moments the series has. One of the major pieces used throughout the series is the train system. Wether if it’s the map of the train line and labeling episodes as “stations” or creating people as you see them on street signs, it’s an amazing touch to the series! It also uses a lot of symbols and foreshadowing, giving you tiny hints to the story, but not enough to completely spoil you. 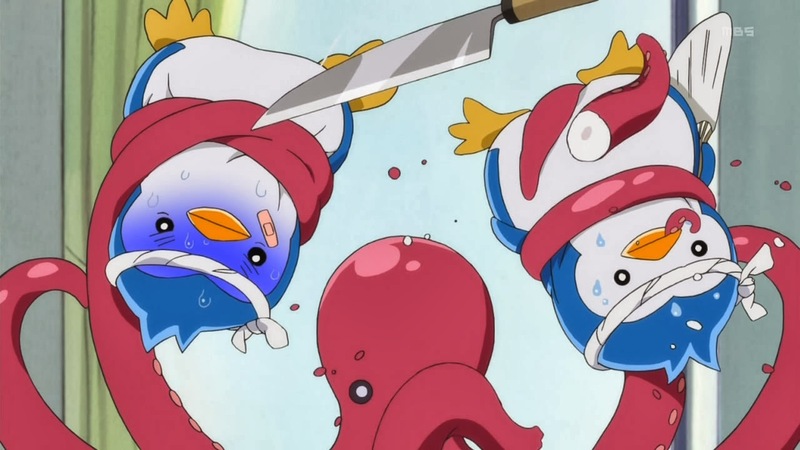 The soundtrack also blends in with the show’s environment extremely well, even with the J-Pop tune we hear every time we deal with the penguin hat.... Did I mention that the man behind Utena is also behind this one? You may think I was joking when I asked earlier why I was crying, but I’m not. Pengunindrum’s story is written so well and executed wonderfully that I was completely drawn in and would cry constantly during many moments. Granted, it does take a while before you even understand what’s going (I felt like this until the second half of the series), but it’s not because they want the viewer to become irritated. You’re unraveling the mystery behind everything that’s going on, and if we knew too much in the beginning then what’s left? Probably a very bad story. Again, we get just enough at the right time but not too much that we end up spoiled. Also, I have to say that Penguindrum has one of the most satisfying endings I’ve seen in anime. Period. End of story. Something else that was really really well done was the characters. You can’t help but become attached to nearly all the characters we come across in the series. Even some of our villains you can’t help but enjoy. From the three Takakura siblings to Tabuki and Yuri and even Ringo you can’t help but root for from time to time. This is some of the best character writing I have seen in a long time with every single major character getting time in the series to grow and develop. This is the kind of writing I wish we could see more often. 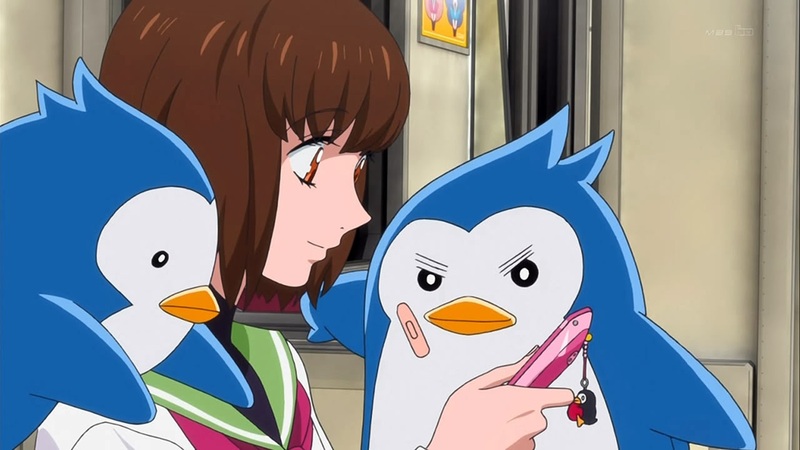 Maybe not EXACTLY like Penguindrum, but you get the idea. These penguins are really silly and adorable! I decided not to touch the dub for this series for two reasons. 1) It’s not available legally and 2) because I’ve heard terrible things about the dub (Thank you Foster). So, I’m sticking with the Japanese for this review, and I am glad I did! There was not one single performance that I hated or was better than someone else’s. Every single voice actor in this series worked together wonderfully to really bring the show to life. 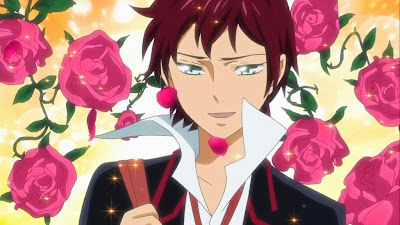 Ryohei and Subaru Kimura make Shoma and Kanba into two separate people even though they are twins while Miho Arakawa as Himari is both innocent and mature at the same time. Marie Miyake as Ringo was a pleasure to watch along with Akira Ishida, Mamiko Noto, Yui Horie, and Yutaka Koizumi. There’s just nothing bad to say about this language track! I actually think it’s the first time I’ve said this in the four years I’ve been reviewing anime! By the end of the train ride, what Pengunindrum manages to bring is a stunning series about fate and love. Everything about the show is amazing (though my opinion may change once I actually watch the dub) and it’s become a favorite anime of mine! You’ll laugh, you’ll cry, but no matter what happens you will feel differently once you’ve seen this show. It’s a must watch and I think this is the first series I’ve given a 10/10 to since giving out scores! Now if you’ll excuse me, I’m going to go blow my nose. Next time, we spend time with another family, until then otaku on my friends. Final Rating: 10/10 - Fate and Love intertwined into this beautiful story makes an amazing series. Special thanks to MadShadow of Ink Black Analysis for the request!